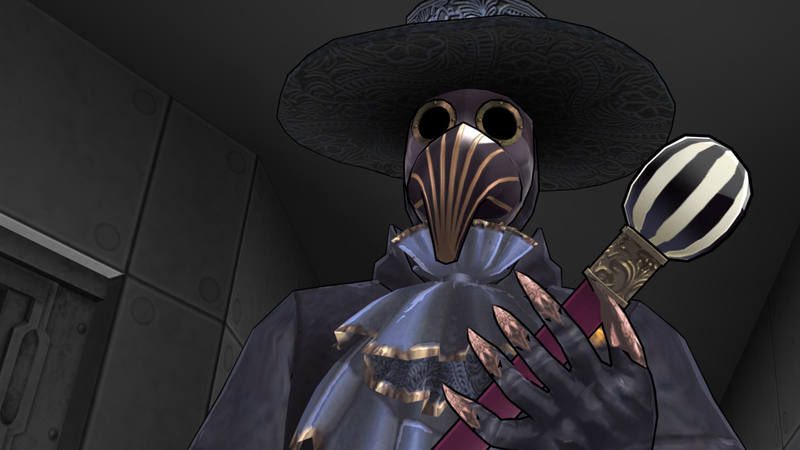 Zero Time Dilemma Review – Plaudite! Acta est fabula! Zero Time Dilemma is the third and final entry in the Zero Escape series. The series began with 999: Nine Hours, Nine Persons, Nine Doors in 2009, and was followed by Zero Escape: Virtue’s Last Reward in 2012. Now, the final installment is finally here. Zero Time Dilemma takes place between 999 and Virtue’s Last Reward. There are some sequels that are fully playable even if you haven’t played the previous games in the series. Zero Time Dilemma is definitely playable for newcomers, though you won’t get nearly as much out of it as those who have played 999 and Virtue’s Last Reward. I strongly urge you to play both of those games (starting with 999) before diving into Zero Time Dilemma. Four of the nine main characters are from other titles in the series, and a vast amount of story content makes much more sense with knowledge of the Zero Escape universe. There’s a decent amount of exposition for newcomers, but it’s nothing compared to actually having experienced the series. 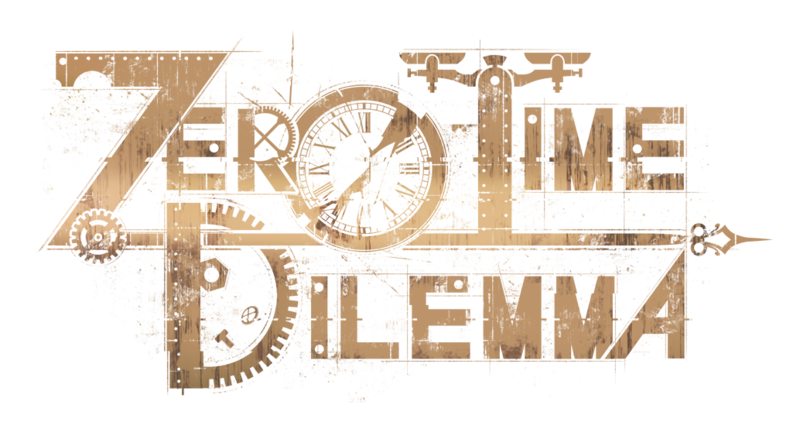 With that being said, let’s dive right into Zero Time Dilemma and what makes it fantastic. 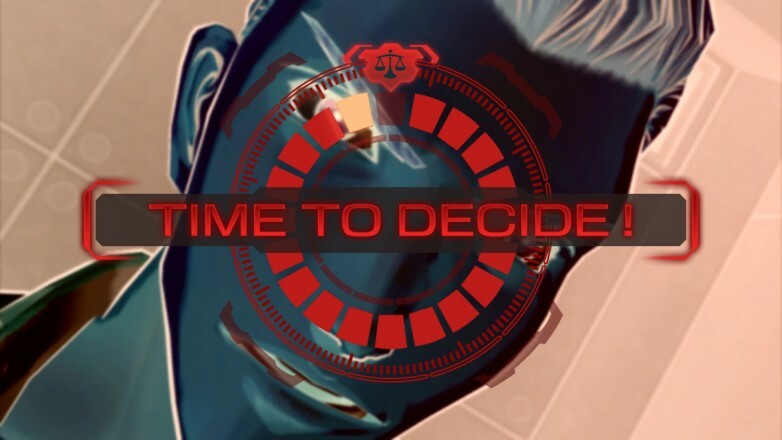 Zero Time Dilemma, like the other two games in the Zero Escape series, is part visual novel and part puzzle game. The puzzle sections of the game task you with solving a number of puzzles, riddles, and other problems to escape a locked room. The visual novel sections proceed much like a book, movie, or graphic novel might – there’s a lot of text to read, voice acting to hear, and story to process. These two gameplay elements are what make up the Zero Escape games. If you don’t like puzzles or games with a lot of cutscenes and dialogue, it might seem that this series isn’t for you. However, the game is so good that I think even those who aren’t fans of visual novels or puzzle games might have their minds changed by Zero Escape. First, let’s talk about the puzzles – the part of the game that involves the most player input. The escape rooms in Zero Time Dilemma are absolutely diabolical. Even puzzle veterans may find themselves scratching their heads at the more difficult rooms. There are, though, enough hints that each room is possible to solve without having an insanely high IQ or consulting a guide. Patience, critical thinking, and attention to detail is critical to making it through the game. Zero Time Dilemma has a wide variety of puzzles, ranging from having the player convert hieroglyph-like symbols to numerical values to simple block-sliding puzzles. You’ll combine chemicals to create new substances, twist the walls of rooms to reach goals, reroute electrical wires, and more – all to avoid deadly consequences. Even when the puzzles are at their hardest, they’re always fun. That’s something that can’t be said about all puzzle games. I’ve gotten fatigued by the tediousness of many puzzle games, even some in fantastic games (like the Professor Layton series). 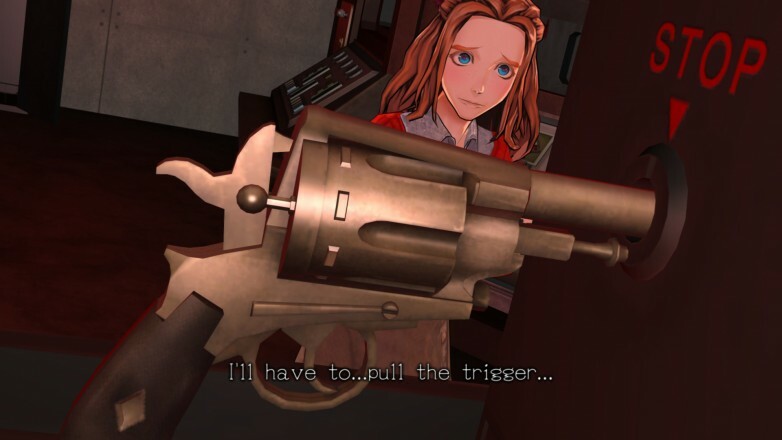 I never once found myself wishing I could skip a puzzle or play Zero Time Dilemma without them.Each room is delicately balanced with enough easier puzzles to make things reasonable and enough difficult challenges to make every success feel like a well-earned victory. When you’re hopelessly stuck on a puzzle, the intensity of the story urges you to keep trying, and even if you’re having trouble after a long period of time, you can jump to other parts of the story to take a break. At first, I was a bit uncomfortable with the team-switching mechanic, but after exploring the game’s handy flowchart, everything became extremely comfortable and sensical. You’re not just solving puzzles that challenge your mind, though – you’ll also be faced with decisions that challenge your heart. Moral quandaries, questions of ethics, and simply heartbreaking choices are commonplace in Zero Time Dilemma. 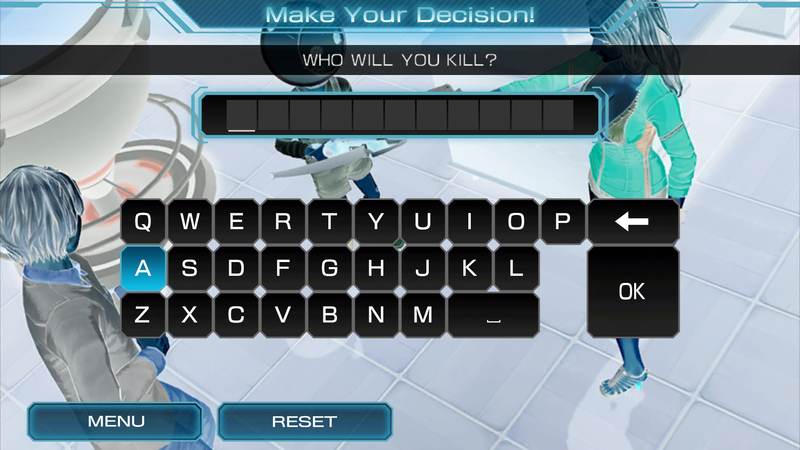 Will you kill others to save yourself? Is it worth risking the lives of your teammates to ensure your own survival? Will you keep your promises, or betray others to get ahead? These are all decisions you’ll need to make during your time with Zero Time Dilemma. The cast of incredible characters makes each decision feel important. The visual novel sections are just as good as the escape segments. These are where the tough decisions often pop up, and the intensity that comes through each scene will keep your eyes glued to the screen and your hands tightly gripping your system. It’s a game that’s extremely hard to put down after you get into it, and though that is said about a lot of games, I mean it in the sincerest possible sense with this one. The story is, in my opinion, probably the best part of Zero Time Dilemma. It’s a mix of horror, mystery, science fiction, and drama. It sounds like an intense mix, and it is. There’s nothing light about Zero Time Dilemma (though the dog, Gab, is seriously adorable). That doesn’t mean that it’s not fun, though. The theatrics are through the roof, and the sheer tension will make you laugh – because not many games make you feel the way that this one does. Zero Escape is horribly prone to spoilers, so I’ll just explain the basic set-up: nine people are trapped in an underground facility. Their goal is to escape by playing what’s called the “Decision Game,” which has been devised by their captor, a mysterious figure who is only known as Zero. To escape, six passwords must be entered into the exit door. Easy, right? Well, not exactly – one password is announced each time that a participant dies. Six people must die – it’s the only way to escape. The participants are separated into groups of three, and each has their own set of challenges to overcome. Every ninety minutes, each team finds themselves injected with a sedative as well as a memory loss drug, which erases all of their memories from the previous hour and a half. The game begins by asking each team which of the other two teams should be executed, and things get deeper and darker from there. Your decisions are incredibly important, but have no fear – you can jump back to previous segments of the story and change your decisions, which allows you to see all of the possible outcomes. In fact, you’re going to have to do this to reach the true ending of the game. This is an element that’s built into the fabric of the story, and it’ll change the way you think about time, history, and life itself – in the game, at least. If you’ve never played a Zero Escape game before, the mood of the game is hard to get a grasp on. You simply have to experience it – and you should absolutely make a point to do so. The voice acting is fantastic. You can play the game in both English and Japanese, and both casts are great. Normally, I always think the original Japanese voice acting blows the English dub out of the water. In this game, though, they’re pretty evenly matched. I played through Virtue’s Last Reward without spending more than five minutes with the English voice acting, but this time I tried to give equal attention to both for the review, and I really enjoyed it. Each line is delivered with precision, and the impact of the audio is unmistakable. If I had simply read through the game’s lines, I would never had heard Diana’s heartbreaking desperation, Q’s youthful innocence, Eric’s erraticism, or the complex tension between Akane and Junpei. This is a game to play with headphones on – you won’t want to miss a second. This includes the music – the score perfectly compliments what’s happening onscreen. It’s mostly atmospheric, and it almost always takes a backseat to the characters and puzzles, but it actually works really well for Zero Time Dilemma. Though it won’t command your full attention, the music perfectly accentuates the drama during important scenes, and you’ll definitely notice that. As for the visuals, they’re very good. However, they’re not perfect. I played the game on PlayStation Vita, and I never found any glaring issues with the way the game looks. The animation style reminds me of the one used in Virtue’s Last Reward, but it’s been improved. This is most easily seen in Phi and Sigma, who were main characters in VLR. They look different now (since this game is in a different time and place), but the character models themselves are better this time around. All of the characters receive a lot of attention and care, and things like body language and facial expressions are very well done. The nature of the animation style does lead to character movement seeming somewhat clunky at times, and things like hair and clothing movement could have been improved. Overall, though, this game looks very good. The essence of Zero Escape does not exist in perfect HD visuals, so it’s not something I spent too much time being critical about. 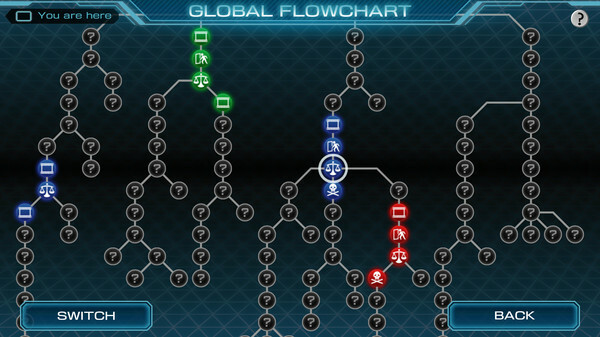 To get the true ending and fill out your flowchart, it’ll take the average player somewhere between 15 and 20 hours. I finished my first playthrough in 18 hours. I have gone back since then, though, and played through certain timelines again. Sure, I know how the puzzles work and I know the story. However, there are small details hidden away in almost every scene that point to the secrets that the end of the story reveals. It’s a lot of fun to go back and find these pieces of foreshadowing, and I think it adds a lot of replay value. It’s also hard to just walk away from Zero Time Dilemma. After such an intense experience, I didn’t want to just close the game and move on to something else. I wanted to spend more time with these characters, and I wanted to spend more time in their world. I feel that many gamers will feel the same way. Whether it’s going back and looking for hints, trying to finish puzzles using different methods, or just enjoying the visual novel scenes again, there’s a good amount of replayable content here. If anything, finishing all the endings of Zero Time Dilemma will definitely make you want to replay the first two games. Zero Escape is a series unlike anything else I’ve ever experienced. The same goes for each entry, and Zero Time Dilemma is no exception. Kotaro Uchikoshi has masterfully crafted a piece of fiction that pierces through its medium and directly into the heart of each player. I’m very sad to see the end of the Zero Escape series, but I’m also very happy to see it sent off by a game as great as Zero Time Dilemma. There’s not much else to say except this: Play Zero Time Dilemma. You will not regret it. Review copy provided by Aksys.